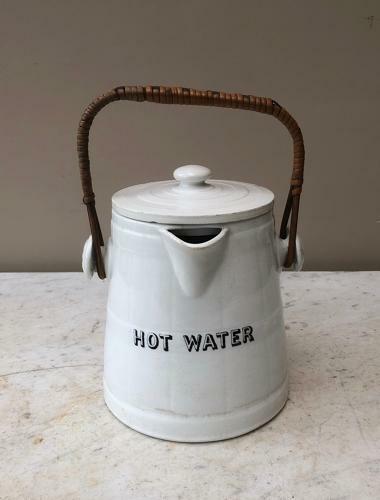 Late Victorian White Ironstone HOT WATER Jug. Complete with its original handle and lid. Overall lovely clean condition and a nice size. When you remove the lid a small hairline is exposed on the top rim of the jug and the actual lid has two tiny chips on the edge which can be faced to the back.